A caricature is a pictorial or literary description of a person or thing that exaggerates certain distinctive characteristics to create an easily identifiable likeness. 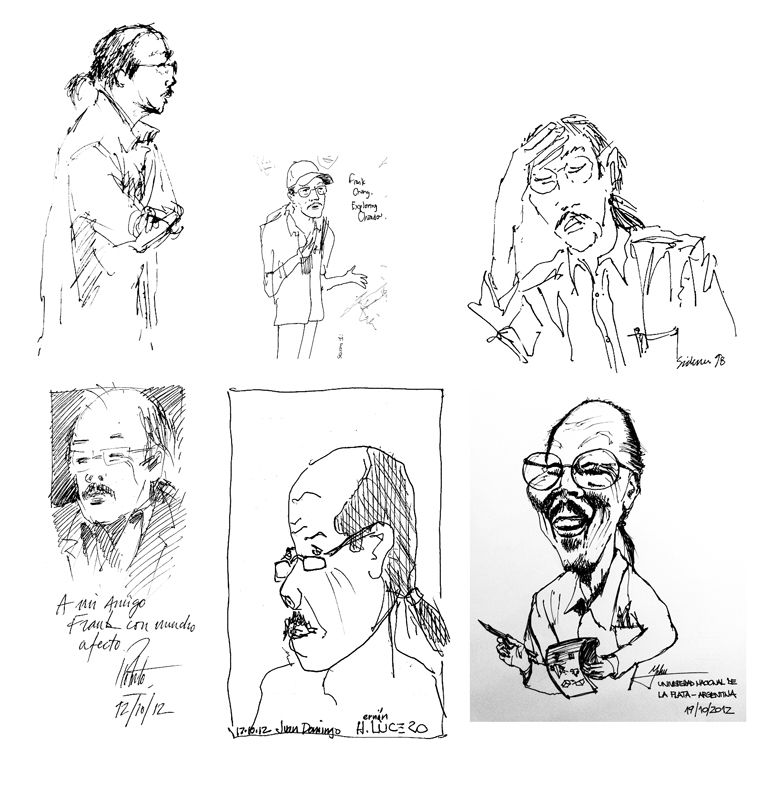 The result can be insulting or complimentary; I certainly hope these caricatures of me are the latter! These were done and graciously given to me by various individuals during presentations and workshops that I have given. While these are definitely not intended to be caricatures, they still represent my attempt to capture the likeness of individuals, which is always an enjoyable and constant challenge. 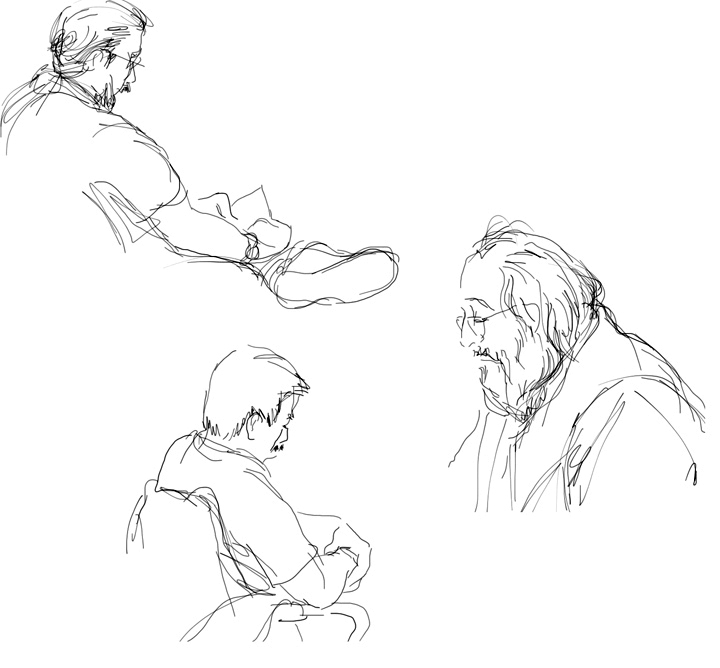 I used my iPad to draw these prospective jurors in the King County courthouse. It helped that these people were sedentary, lost in their own thoughts while waiting to be called for jury duty. 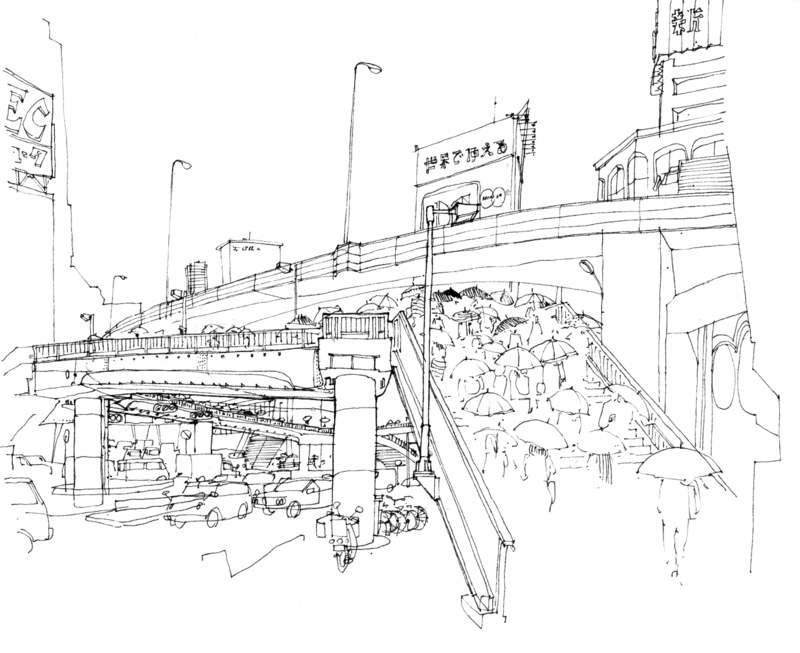 To draw people who are moving is much more difficult, as in this view of a rainy morning in Shibuya, Tokyo. These commuters and their umbrellas provide a sense of scale to the composition and lead the eye across the overpass while the automobile traffic flows below. This entry was posted in Drawing, Media, Seeing by FC_admin. Bookmark the permalink.